The Kremlin has blasted as an “outrageous violation of anything and everything” a new round of sanctions imposed by the United States on Russia. 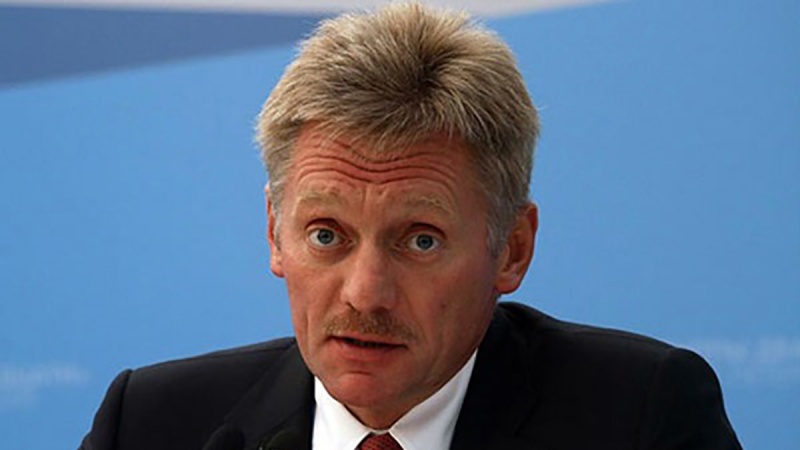 “This is an outrageous business from the point of view of illegality, from the point of view of flouting all the norms, and of course careful analysis is needed here,” Kremlin spokesman Dmitry Peskov told journalists on Monday. The United States on Friday imposed fresh sanctions on Russian individuals and companies over a range of activities, including Moscow’s alleged meddling in the 2016 US presidential election. “The Russian government operates for the disproportionate benefit of oligarchs and government elites,” Treasury Secretary Steve Mnuchin said in a statement. Peskov further said the Kremlin is liaising with the Russian government on measures to mitigate the effect of new US sanctions. He said Russia had considered “a large variety of options” but it would take its time to decide on any retaliatory measures. “Surely, Kremlin carefully watches the market processes and coordinates its actions with the government,” the Kremlin spokesman said. In a statement on Friday, Moscow pledged a “tough response” to the new US sanctions. “We will not let the current attack, or any new anti-Russian attack, go without a tough response,” Russia’s Foreign Ministry said. Russian Prime Minister Dmitry Medvedev on Monday ordered his government to adopt possible steps in retaliation for the new US sanctions, the Interfax news agency reported. He said the US sanctions are “unacceptable and illegitimate” and emphasized that Russia reserves the right to respond. He also ordered the government to devise a plan to support entities targeted by the US sanctions, the news agency said. Western countries have already levied broad economic sanctions against Moscow over its support for pro-Russia forces in eastern Ukraine and Crimea’s reunification with Russia. In late 2016, Washington alleged that Russia had influenced the US presidential election in November that year to help Donald Trump get elected, an allegation that Russia has strongly denied. The European Union in March extended by a further six months sanctions against Russian and Ukrainian officials over their suspected involvement in the conflict in eastern Ukraine.